Police have argued that drill videos are partly responsible for a surge in murders and knife crimes in London. Drill, a rap genre that originated in Chicago, often features artists discussing violent themes and gang rivalries. Mike West, head of a London police unit that has compiled a database of around 1,900 drill videos, told the Press Association that the clips “generate purely a violent retaliatory response.” BBC first reported last May that YouTube had removed over 30 drill videos at the request of Metropolitan Police. 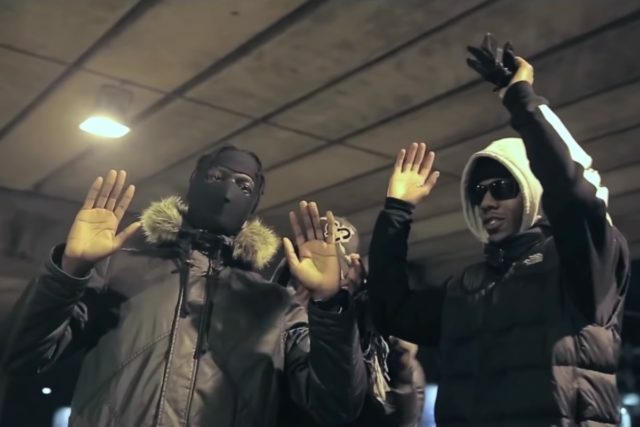 The report on new video deletions follows a landmark case last month in which Skengdo and AM, two of the UK drill scene’s biggest stars, pled guilty to breaching a gang injunction by performing their song “Attempted 1.0″ at a London concert in December. The duo received a suspended sentence of nine months in jail. It was the first time in British history that an artist has been sentenced to prison for performing a song, the nonprofit Index on Censorship told the Guardian. YouTube told the Press Association that the 102 videos were removed as part of policies developed “to help tackle videos related to knife crime in the UK” and that the website has a “a dedicated process for the police to flag videos directly to our teams because we often need specialist context from law enforcement to identify real-life threats.” YouTube has not responded to questions about how this process determines whether to delete a video. Drill rappers and activists have criticized actions by police and YouTube as unfairly targeting artists and ignoring the structural conditions in London that lead to violence. A cofounder of Skengdo and AM’s record label Finesse Foreva, who goes by the name TK, told Spin that the deletion of videos was discriminatory, and disputed police characterizations of the drill scene as inciting conflict.